Today is a cold wet day here in Queensland. Of course, 'cold' is relative. It's about 17 degrees Centigrade (64 Fahrenheit) and there's no wind at all. So I can hear North American and Tasmanian readers snorting in derision! 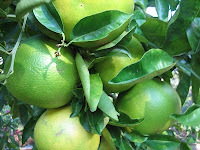 But it did rain last night; the gauge says 22 mm – just enough to bed down my new mulch and provide a good drink to the grapefruit and oranges that are near to ripening. But this morning it's still damp out and there's hardly any sun, which is not a typical winter day here in Paradise. So we are feeling hard done by. Except for this: I am home ALONE for the first time since A came home from hospital this time last year. Until today, except for one four-hour session each week when a Blue Care carer has come in to spend time with A while I go off somewhere, A and I have spent every waking and sleeping hour of the year in each other's company. And I have never in all that time been home alone. It has to be a testimony to our deep affection and great friendship that A and I have managed to get through this post-operative year without any eruptions that I can recall. But much of the credit for this has to go to him – to his easy-going nature, his willingness to accept change and his refusal to give up trying to get on with all those intellectual pursuits that have made him who he is. Even when, in the first few months after his release from hospital, he could not yet get to his feet without assistance, he would spend hours every day reading, relearning how to form letters and practising his writing, singing along to favourite songs and practising his speech. This week A began a six-week program of rehabilitation at Eden Rehabilitation Centre. He'll go twice a week, for four hours a day. He's an in-patient during these sessions, so the program is covered by our health insurance. Focussing on 'Falls Prevention', the sessions include physiotherapy, occupational therapy and various other therapies tailored to meet the needs of the four people participating (three elderly women and A!) It's about a 15-minute drive for me to take him there, and the 8am starting time is a challenge for late-risers like me – though no problem for A, who easily gets up at 6am, which is what we both need to do to be ready in time. But except for one hour once a week, I'm not expected to participate in these 12 half-day sessions. So for most of A's time there I am free to do whatever I like. Today I decided I would come back home and just be here – alone. Solitude has always figured high on my list of indulgences. The informally negotiated terms we agreed when A and I started living together more than 30 years ago included an acceptance that neither of us would give up following individual pursuits and chasing our own dreams. For A, this meant implementing a plan he was already formulating before we linked up, to give up his secure arts administration salary and return to freelance theatre work. We made sure to get a mortgage on our first home approved before A's resignation, because at that time banks were reluctant to consider anything but the male breadwinner's salary when making decisions about mortgages. Mortgage secured, though, A quit his job in administration and resumed work in theatre and scriptwriting. Some years later, when my career development depended on an interstate move, there was never any question that A would agree to this. His being freelance made it easier, but at his age then (58), finding new outlets for his freelance services was not easy. 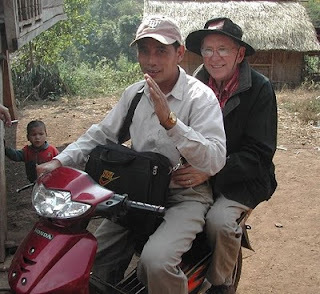 Ten years later, when my consultancy work meant more overseas travel, A might well have been reluctant to make more changes at a stage of life when most people are well set in their ways. But when the time came to make a decision, he enthusiastically wrapped up his professional activities and made a graceful transition to supportive house-husband. 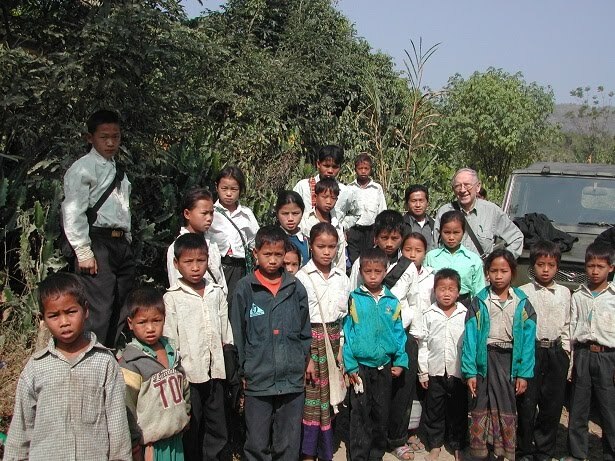 So I continued doing aid work – in the Philippines, Laos and Vietnam – and A continued to manage our domestic life. Sometimes this meant setting up house for a few months in a hotel room, with lots of negotiation about such things as better reading lights, additional pillows for reading in bed, a second desk for A! Inevitably, when the time came for departure there would be heartfelt farewells with staff, thanks mainly to A's being on such good terms with everyone. Cleaning girls would give us gifts, as well as vice versa, and we would find ourselves at weddings and other family events with the families of young hotel managers and others whom A had befriended. In one two year assignment, we never again had to stand in line at the state bank's currency exchange office after the girls working there adopted A as a surrogate grandfather. Over the years of my various assignments, A has helped to train local scriptwriters for educational TV, helped senior secondary students in Laos to direct a film as part of their introduction to media, and made market ladies giggle in gleeful expectation every time he would alight from a tuk-tuk to shop for the week's provisions. Now, those same qualities that enabled him to deal calmly with situations that many his age (and younger) would have found trying are helping him to tackle the more stressful challenge of losing his ability to use language. He's a survivor, and perhaps most importantly, he is adaptable. Nor is he too proud to admit what he doesn't know or can't do. And he doesn't mind accepting help. All of that makes my role as caregiver so much easier. Even so, in recent years we have both had to give up things that meant a lot to each of us. We've lost access to my good income stream a lot sooner than I had planned. A has lost his independence, self-reliance and the pleasure of participating actively in the upkeep of house and property. He can no longer take on the little building projects he once loved. And I know he worries about being a burden. I have had to give up work that I loved and the chance of a livelier retirement than I expected. But perhaps most of all for me, for much of the past year I have had to forego the occasional spells of solitude I enjoyed while travelling alone on short-term contracts, disappearing into my studio for days at a time or just being at home alone while A was out pursuing his own activities. Now we live in each other's pocket, it seems. For both of us, that's a new, more conventional existence than what we were used to. Luckily, we seem to have got through this difficult year of transition to...well, who knows to what! One thing we've realised is that none of us knows what will come next in life. This year we have learned not to worry about that so much, and just to live in the present. Another lovely post. It feels rather an honour to hear a little about you and A's history like that. And how gracefully and... stregthfully (I don't care if it isn't a word -- it's what I MEAN! And it is not the same as 'strongly'!) you have both taken on the challenges of recent years. Fantastic and interesting post. I really enjoy time alone - I'm glad you are finally having some breaks. That was an inspirational post. And even though I've watched your life from the sidelines for so long, it's really great to see A's and your lives put into perspective like that. Thank you all for your lovely comments. And for sticking with me. I know my blog's all over the place, but then, so's my life! OMIGOSH, C! What an honour to read this! Thank you for mentioning it to me. I agree with Nancy - I had never known the picture as fully as you presented it here. You know I have admired you greatly - and more so now. I am greatly moved by the way in which you have depicted A and - as usual - your elegant style of writing. Thank you from the depths of my heart for everything. G.
In another culture both of you would be surrounded by youthful acolytes soaking up your wisdom. But here all you have is we cyber-acolytes! That you received such a comment from A's former wife speaks volumes about you. Brings a lump to the throat! Wow! Cyber-acolytes! What a great compliment. You do really have a way with words, Stafford Ray.